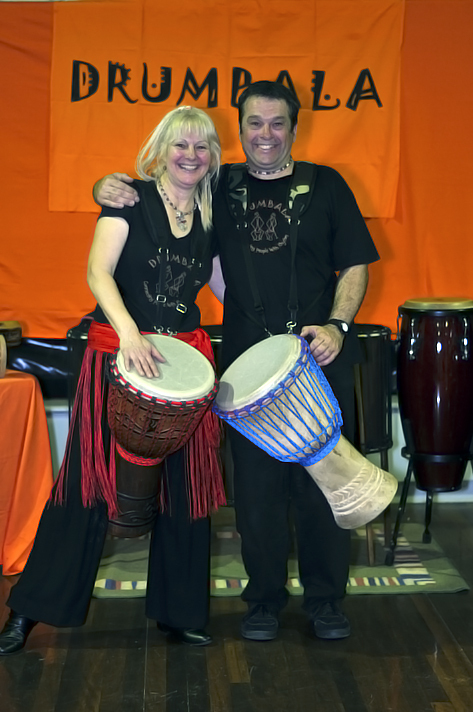 Drumbala was created by Warren and Katy Loades in October 2005 when asked by a friend to teach 14 students the Djembe Drum (African hand drum) at a café in Port Macquarie NSW. Warren has been in the music industry as a Drummer and Percussionist for over 25 years and together with Katy they put together their first workshop program and found success in teaching the djembe drum to the students in Port Macquarie. 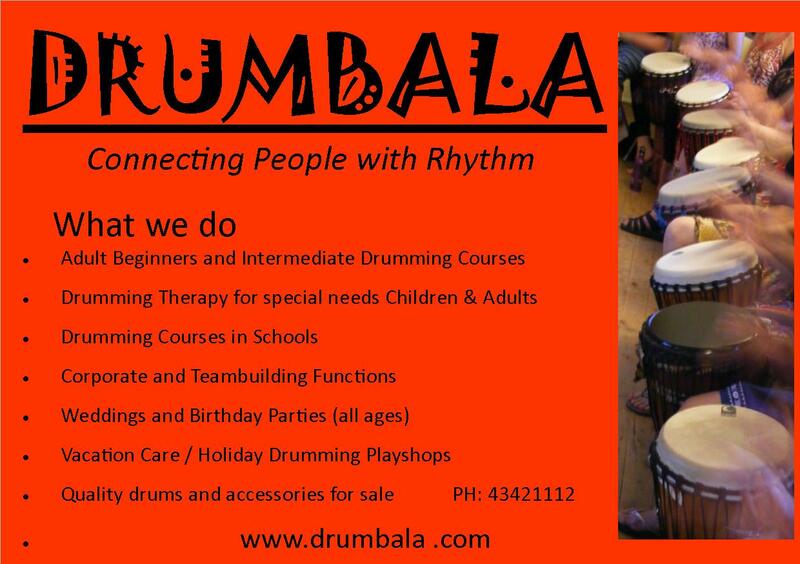 Since then, Drumbala, whose home-base is the Peninsula on the Central Coast of N.S.W, has continually grown holding weekend workshops and evening classes on Monday, Tuesday, Wednesday and Thursday nights, Kidz drumming, Ladies day classes and community drum circles. We also facilitate team building and interactive drumming workshops for special events and functions. Drumbala has a performance group consisting of 11 drummers and percussionists who are available for bookings for special events and functions.